Chart No. 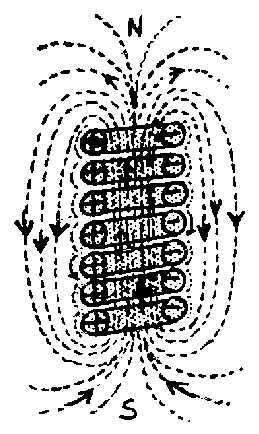 3 - Composite Picture of the Pattern Forces of the Body and Their Wireless Circuits. (E) The hands should be turned up with the thumbs forward. 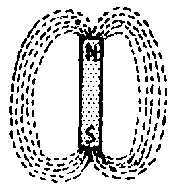 But for clarity of illustrating the 5 [five] currents going through the 5 [five] fingers they are shown thus. 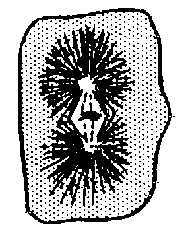 (F) The ultra sonic [ultrasonic] energy forms the 6th [sixth] ventricle of the brain and spinal cord. 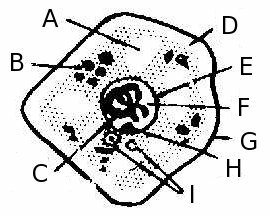 It becomes the primitive streak and the notochord in the embryo. 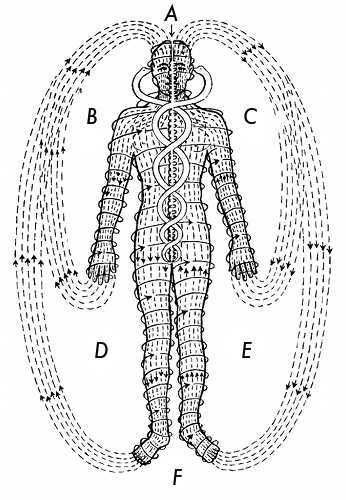 The fine white line in the central core is the ultra sonic [ultrasonic] energy current of the soul. It is the primary energy which builds and sustains all others. 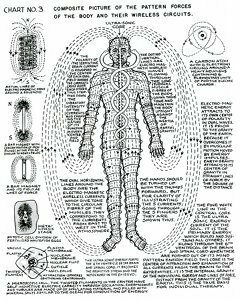 It flows through the 6th [sixth] ventrical [ventricle] of the brain and spinal cord when these are formed out of its mind pattern energy field. 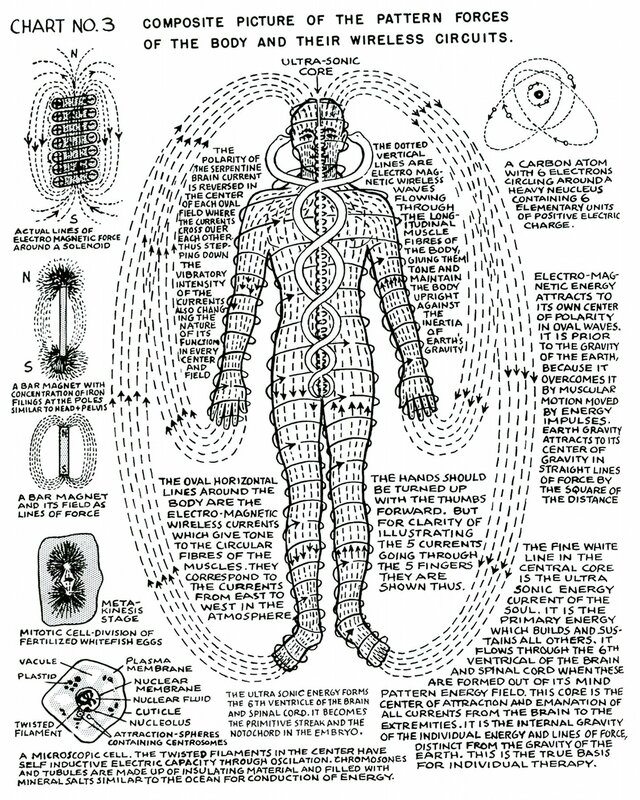 This core is the center of attraction and emanation of all currents from the brain to the extremities. It is the internal gravity of the individual energy and lines of force, distinct from the gravity of the Earth. This is the true basis for individual therapy. A microscopic cell. 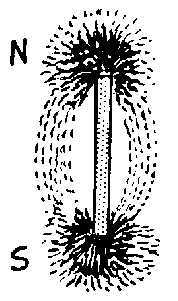 The twisted filaments in the center have self inductive electric capacity through oscilation [oscillation]. Chromosones [Chromosomes] and tubules are made up of insulating material and filled with mineral salts similar to the ocean for conduction of energy. 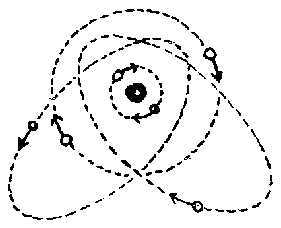 A carbon atom with 6 [six] electrons circling around a heavy neucleus [nucleus] containing 6 [six] elementary units of positive electric charge.